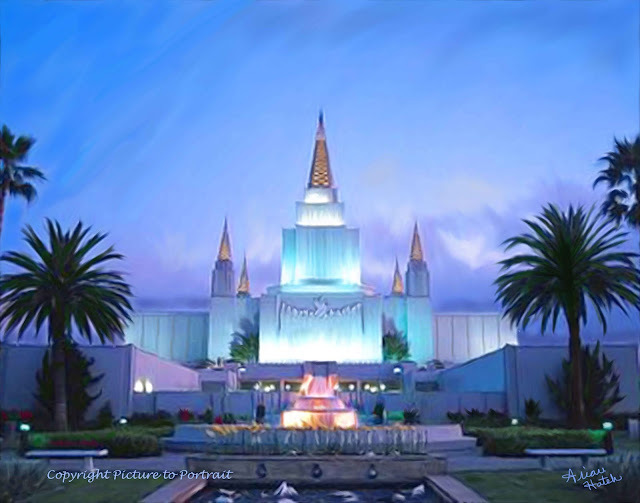 Here is my latest LDS temple painting. It is the Oakland, California temple. Love the lighting in the background. The night sky is always the prettiest for the temple paintings. This temple holds a special place in my heart because it was the one that we lived close to when I grew up. We were about 45 minutes away in Santa Rosa. I loved to go see it all lit up at Christmas time. Think I need to take Mr. H and the kiddos to see it some day soon!